Laughs, tears, love, loss. This autobiography has it all and the only thing I can say truly disappointed me was that it ended. 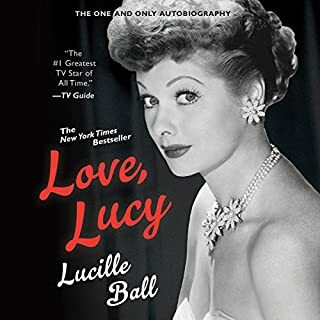 If you ever have enjoyed television then you will have loved Lucy and this is a must read. The Bobiverse stories are a special kind of magoc, capable of exploring a galaxy of sci-fi ideas while still holding hard in the grounding of technology that we understand. 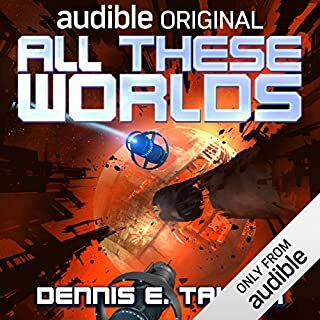 All These Worlds is the best way to end a series that I hope leads to many more great stories by Dennis E. Taylor. Ray Porter has managed to capture the perfect voice of Bob and all his incarnations as well as everyone they meet. All These Worlds tells the final chapter of the Bobiverse, the final outcome of humanity's self-destructive path on earth, the last true battle with The Others, promised in For We are Man, and a nice conclusion to the stories that have been left to unfold around the Bobs. All of this with a conclusion that offers hope for the future, even with the sorrow of losing friends we have come to care for. I personally will be watching, and listening, for another story by Taylor and can not wait to see what comes next. By far Christie's most intriguing work is carried neatly by an an intense reading. The mystery presented is both enthralling and enticing and Dan Stevens manages to capture the ever spiraling feeling of fear that encapsulates those on the island. Whether you have read the story or not this is by far a grand way to experience it. First off I would like to start that if I could I would have rated this at 4.5 or 9/10 stars if I could. It's a great first story from an author I hope will continue honing his craft both in and outside of the world this story is set in. Actual review? 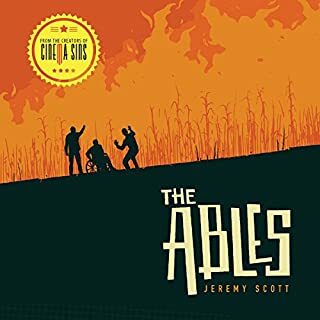 The Ables is about kids with superpowers. Our lead, as well as his friends, are all disabled in some way, blind, wheelchair bound, deaf, and even downs. It's a coming of age story where the kids, 13-15 learn to use their abilities and help one another circumvent their disabilities. There is a villain lurking out in the world somewhere and it's up to our heros to convince the adults he exists. It's a classic hero's journey and it delivers most everything it promises. 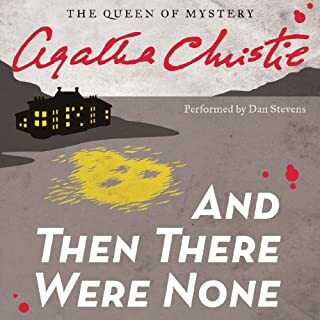 Even the elements some might find predictable near the end of the story are so well handled that they are entertaining. The visuals are great, especially or maybe because our protagonist is blind. There are little details and hints to the larger story scattered about and I hope Jeremy Scott keeps writing because if this is his first attempt I can only imagine where we can go.